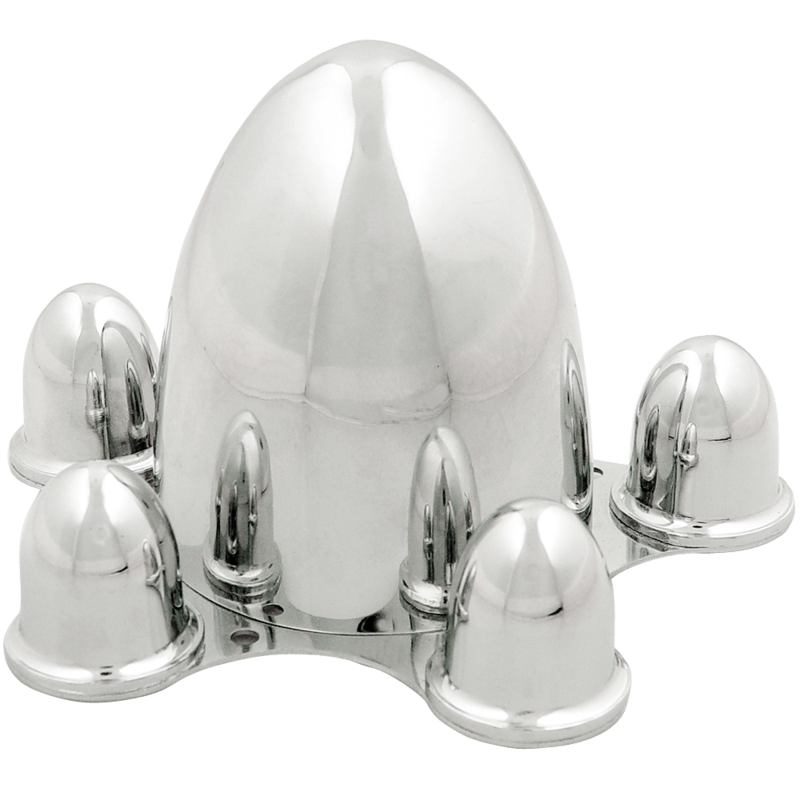 This is a Spider cap for 5x4 1/2 bolt pattern. 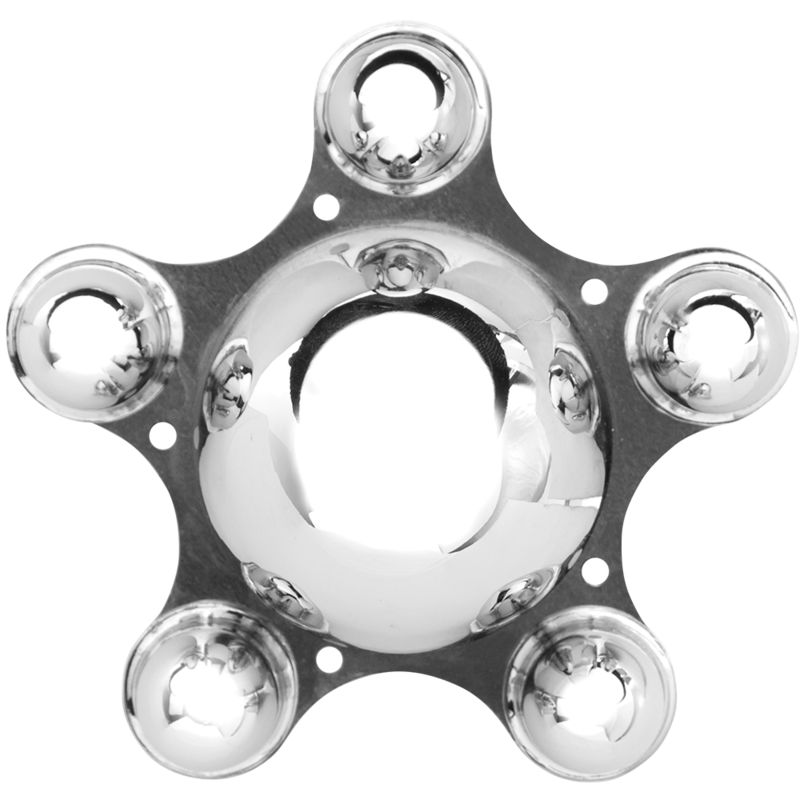 Spider Hubcap covers both the center of the hub and the lug nuts in a compact design. These Spider Hub caps are for 5 x 4 1/2" bolt pattern wheel only. Please check your actual wheels required cap fitment size. How does this cap attach to the rim? The spider cap has a backing plate that attaches with the lug nuts, then the cone section attaches to the backing plate with screws between each lug. Standard, OE lug nuts are compatible with these Spider Caps. Would these caps work on a 2007 Chevy HHR? These caps are not compatible with the metric bolt pattern found on most Chevy HHRs.